Sonia Goldstein, 86, at the Whitney Museum. 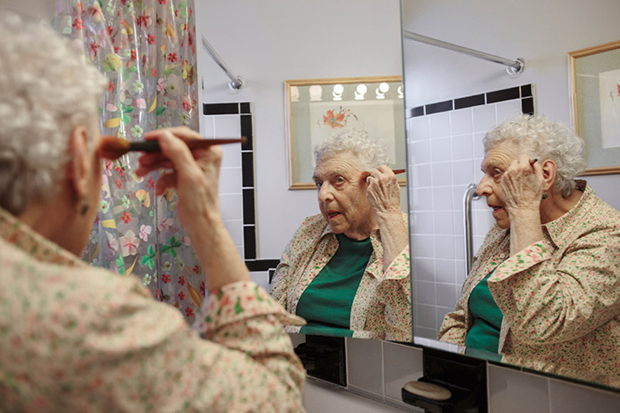 Sonia Goldstein, 86, gets ready to meet a friend for dinner and see a theater play in the Lower East Side. 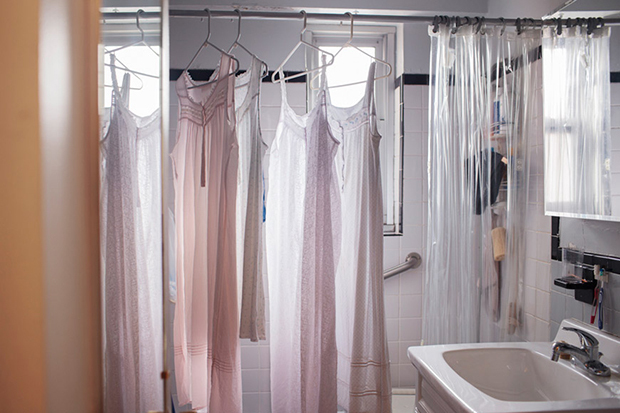 Claire Gottfried’s nightgowns dry in her bathroom. 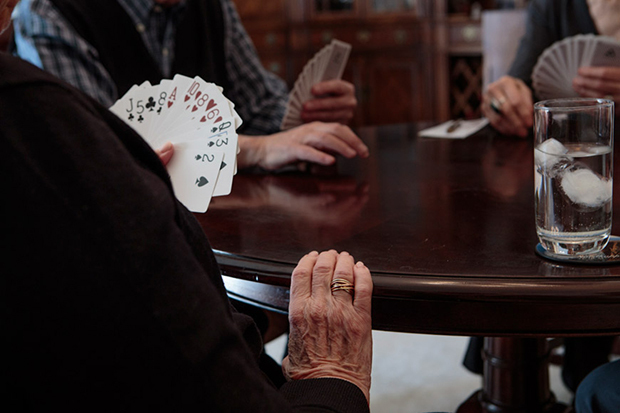 For Life Ever After, New York City-based photographer Patrícia Monteiro chronicles the vibrant lifestyles of four widowed or single women aged 86 to 98, each of whom spends her days soaking up all the city has to offer, from dinner parties to the theater, art museums to card games with friends. Monteiro was initially inspired by her own grandmother and her battle with Alzheimer’s. 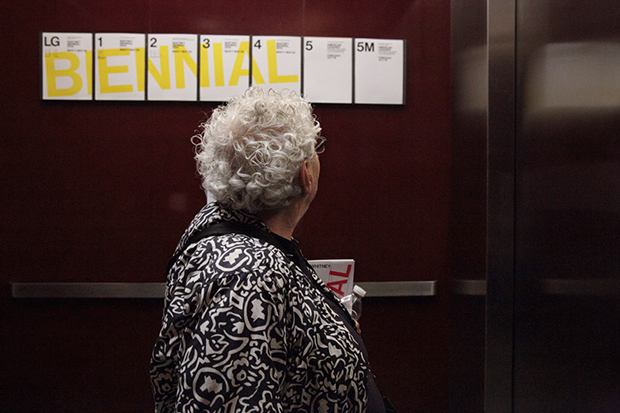 Hoping to puzzle together the nuances of the disease, she made visits to Chelsea’s Fulton Senior Center, where she met Rita Immerman, the woman who would become the project’s first protagonist. 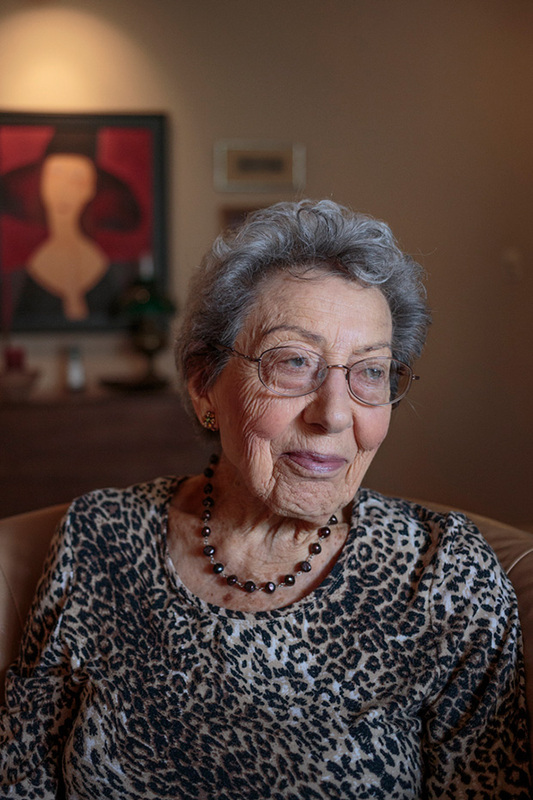 As the 88-year-old opened up about her interest in politics, opera, and scrabble, the photographer earned her trust and friendship and was eventually invited to visit her at home in the cooperative housing community Penn South. Here, Monteiro was introduced to Rita’s friends Claire Gottfried and Molly Kanner and later encountered resident Sonia Goldstein at a class organized by the Penn South community. In these four women, the photographer found fiercely independent souls, constantly evolving and engaged with the goings on around them. Despite physical difficulties—Rita, for instance, has a few disabilities—each pursues her interests with as much fervor as ever. Claire takes photographs and submits to competitions, and Sonia serves on the board of the cooperative’s Senior Center. 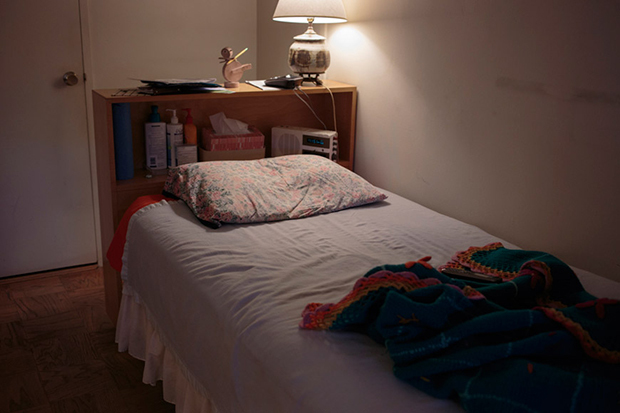 The women, says Monteiro, welcomed the opportunity to share their lives with her, and even camera-shy Claire chose to let her into her private world. 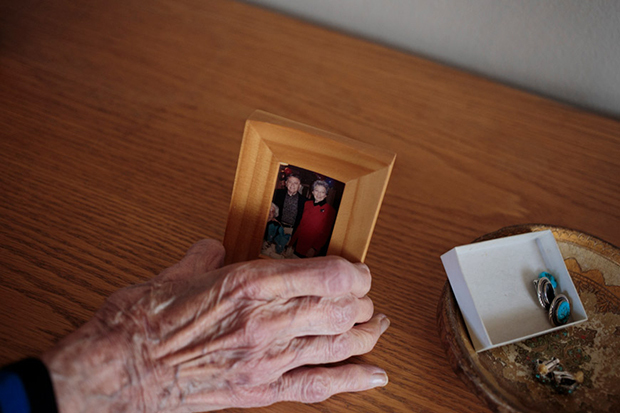 At this age, the women have seen the deaths of lifelong friends and companions, but they have learned to cope with loss. Their late husbands are abiding fixtures in their lives, and Sonia still wears her wedding band. Rita got giddy reminiscing on her boyfriend, Molly shared relationship advice. At one time, they all had careers. A few of them shared photographs from their pasts, although nostalgia was sometimes tinged with heartache. For the most part, explains the photographer, the women didn’t dwell on or concern themselves with thoughts of their mortality, focusing their attentions instead on the joys of the day-to-day. Since the project, Monteiro has continued to keep in touch with the women, making an effort to call or stop by to see them. 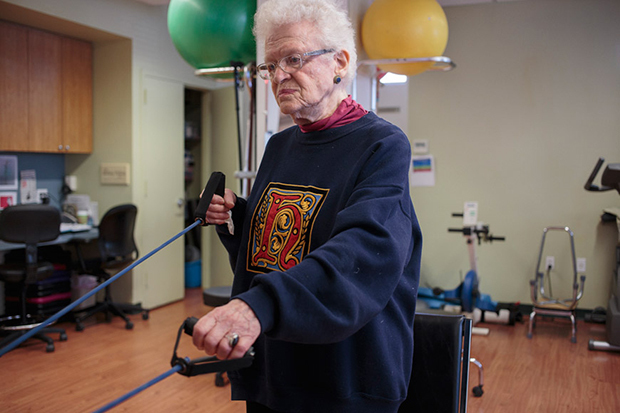 Because of her disabilities, Rita will be relocating to a nursing home next month, where she will be in the care of professionals and closer to her family. 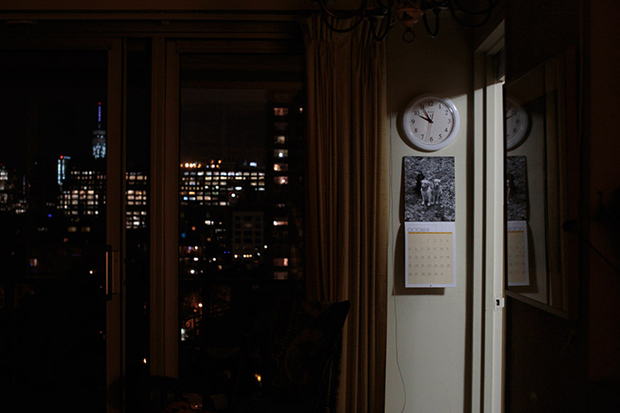 She dreads leaving the city and the life she has built there. Sadly, Molly recently passed away while on a vacation with her family, just shy of the 99th birthday. 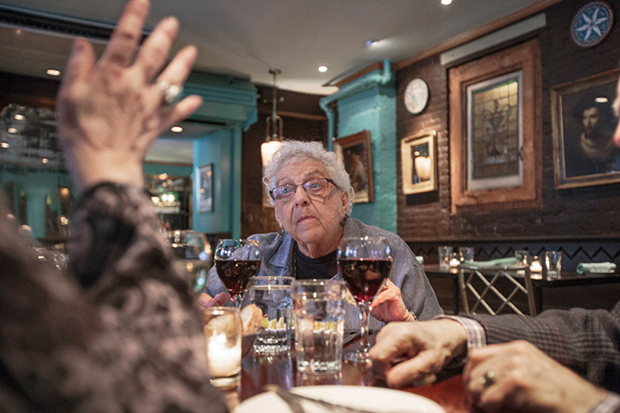 Life Ever After, writes Monteiro, is dedicated to her memory. Molly holds the portrait she had in her room of herself and her companion, who had died few months before. 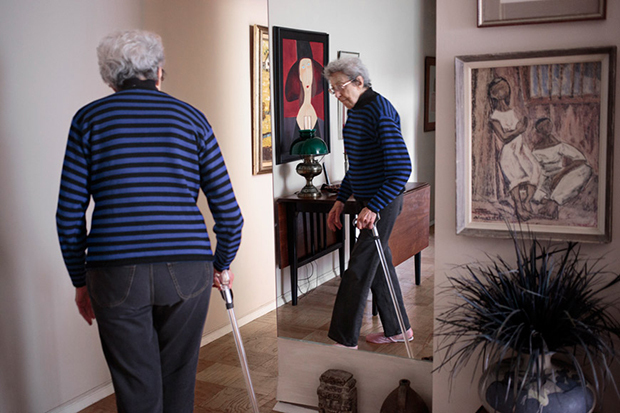 At the age of 98, Molly Kanner walks with no help, using just a stick. 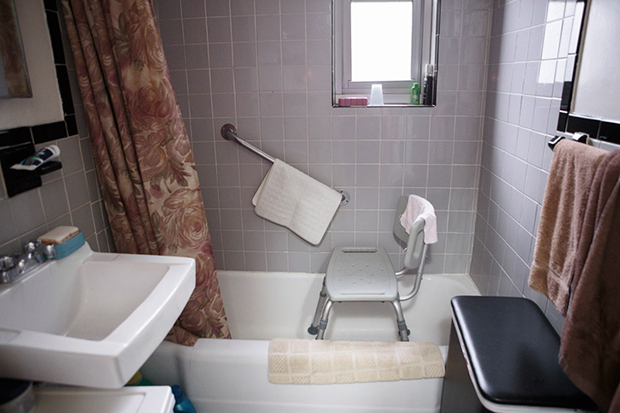 Rita Immerman, 88, had to have her bathroom remodeled due to her physical disabilities. 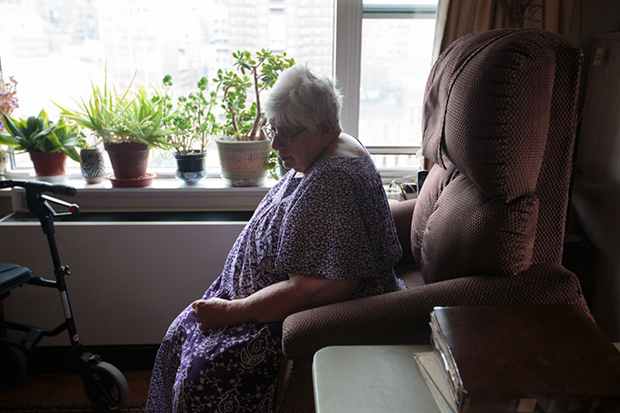 At home, Rita uses a special chair, which helps her to stand up. Sonia enjoys a dinner with friends before going to a play. Single bed for a single lady. 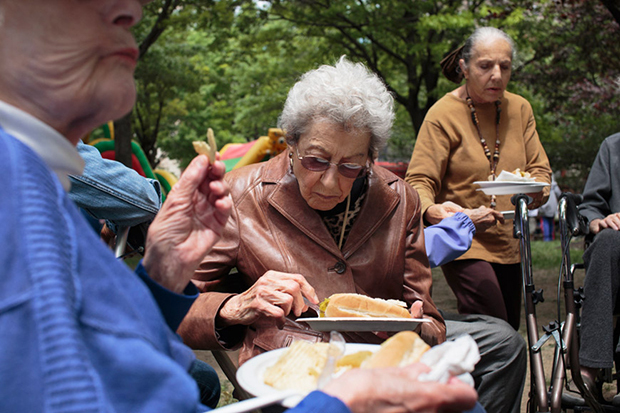 For Memorial Day, the development Penn South held a barbecue, which reunited several members of the community. Late night dinner, with a view of the Manhattan skyline.